The self-proclaimed government in Kiev is reportedly planning to cut pensions by 50 percent as part of unprecedented austerity measures to save Ukraine from default. 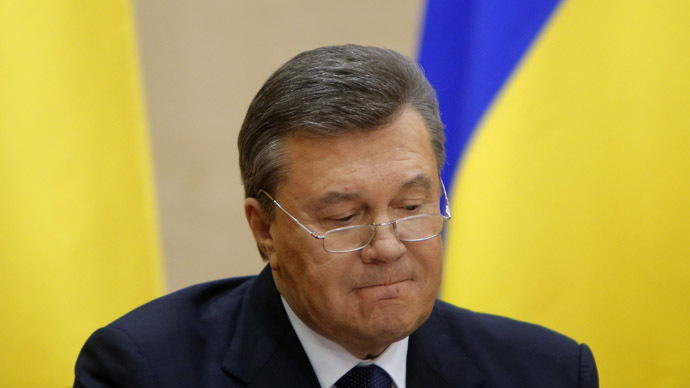 With an “empty treasury”, reduction of payments might take place in March. According to the draft document obtained by Kommersant-Ukraine, social payments will be the first to be reduced. “The Finance Ministry has prepared a plan for optimizing budget expenditures, which implies budget sequestration is to be in force before the end of March. For this purpose, in particular, it has been proposed to reduce capital costs, eliminate tax schemes and preferences and to cut social benefits, for example, 50 percent of pensions to working pensioners,” Kommersant-Ukraine reported. 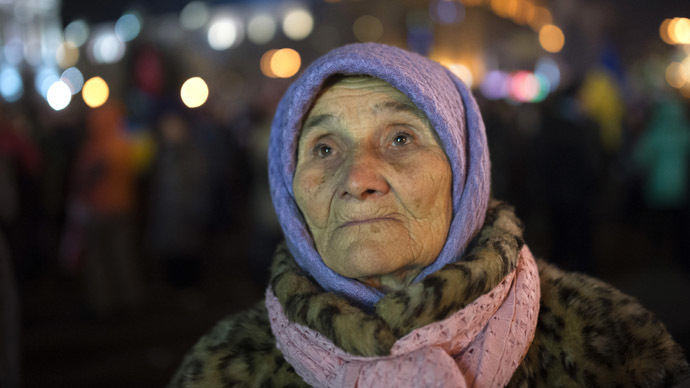 Ukraine’s Ministry of Social Policy reported on December 1, 2013, that an average pension in Ukraine is $160. Right after the formation, the self-proclaimed government in Kiev announced that the “treasury is empty”. 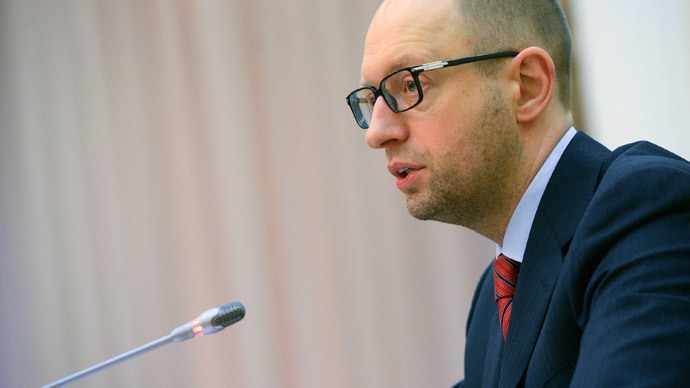 Ukraine’s new prime minister, Arseny Yatsenyuk, promised the government would do its best to avoid a default, adding that he expects an EU/IMF economic stabilization package soon. 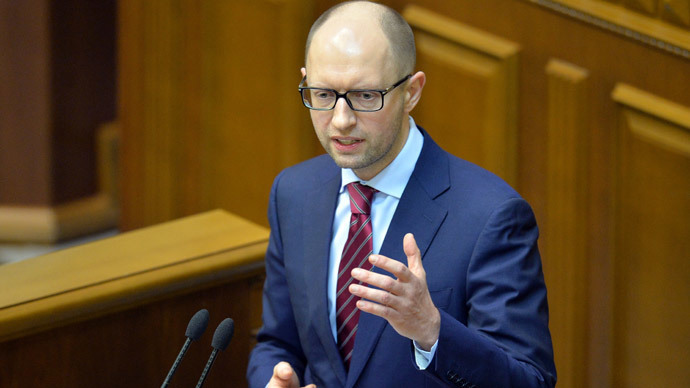 The plan has been formulated in record time, with the government’s strategy ratified in the Ukrainian parliament on February 27, and the document being sent for evaluation to the Ministry of Economic Development and Trade on March 3. 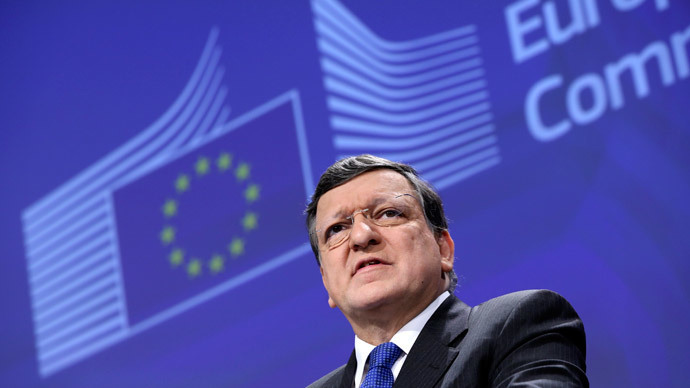 The European Commission offered Ukraine an 11 billion euro loan if Kiev agrees a deal with the IMF, European Commission President Jose Barroso announced on Wednesday. As a rule, help from financial organizations such as the IMF or the World Bank normally includes drastic austerity measures. Accepting IMF money will mean many sacrifices for Ukraine’s economy, which are likely to include increased gas bills, frozen government salaries, and all around budget cuts. 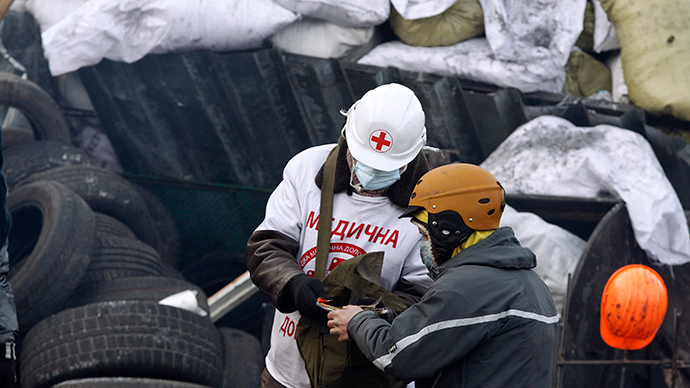 The government in Kiev has already announced sequestration plans from $6.8 to $8.4 billion in 2014.